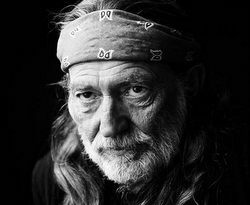 UPDATE (8-21): Willie Nelson’s publicist is now telling The Nashville Scene that Willie now will perform Pilgrimage Fest’s closing set. First announced in April, the Pilgrimage Festival boasted a diverse lineup which included Willie Nelson, Sheryl Crown, and Weezer as headliners, along with other bands such as Wilco, The Decemberists, Neko Case, Band of Horses, and Iron & Wine. Pilgrimage Fest is the brain child of Better Than Ezra singer Kevin Griffin who lives in the Franklin, TN area, and was inspired to start the fest after jogging through a former 200-acre horse farm. In a press release dispatched on Wednesday (8-19), Steven Tyler was announced as a last-minute addition to the fest, and that Willie Nelson would be playing before Tyler, who had hopscotched the country legend for the headliner spot as the final act of the final day of the fest. Previous indications were that Willie would be the one to fulfill that headlining role. “Nashville is a musical mecca and there is no way I would’ve missed performing at the Pilgrimage Music & Cultural Festival,” said Steven Tyler in the press release. It was revealed in March that Steven Tyler had signed to Big Machine Records, and was working with songwriters in Nashville to release a country album. Tyler released his first single “Love Is Your Name” in May which found some moderate success, peaking at #19 on Billboard’s Hot Country Songs chart. Apparently that’s enough cred to hopscotch Willie and others for Pilgrimage Fest’s top performance spot. Pilgrimage Fest’s Kevin Griffin knows a little something about being a former rocker trying to hack it in the country world. He is 1/3’rd of the recently-launched pseudo “gone country” rock supergroup Uncle Ezra Ray with Uncle Cracker and Sugar Ray, who released an unfortunate single called “B.Y.H.B. (Bring Your Hot Body)” earlier this summer. Kevin Griffin has also been working as a songwriter in Nashville recently. The Pilgrimage Festival says it will be a different kind of festival, with many of the acts performing acoustically, and wood clad stages to give the site a rustic and organic feel. There will also be a craft bazaar on site. Organizers are hoping for attendance numbers near 15,000 a day, but may want to revise those figures after numerous failed festivals this year, including the Ink & Iron Fest, which saw paltry attendance and had their legendary country music headliner Merle Haggard walk off the site without playing his set due to a contract dispute. It’s all part of the ever-increasing concern over a country music festival bubble that appears to be bursting. This could also be because the exit logistics aren’t incredibly well planned, so they figure if they put Tyler on last, many fans will go ahead and mosey on out. Then they’ll have less folks to deal with at the tail end of the night. Steven Tyler has been known to try pulling the plug on opening acts that are a little too good to suit him. Let him try that with Willie one time. Steven Tyler should be ashamed of himself along with Kevin Griffin. That is a really bad move on both their parts. But what do you expect from wanna be country hacks. If I were Willie and I could find ANY contract violation I would wait until the last minute and pull the plug just like Merle did. This festival obviously didn’t have country music as a priority from the beginning. Technically, Steven Tyler replaces Willie as “Closing Act.” Looking at the festival web site, Willie still gets top billing over Tyler in the list of Sunday performers. Uh oh…..I’m not seeing the “fake news” tag…. Washed up rocker who screams in every song replaces an American legend. This has Scott Borchetta and festival organizer compensation written all over it. Thanks for giving everyone a reason for leaving early!! I’d love to here those two singing duets. No joke, love them both. I like tuna fish & chocolate cake doesn’t mean I want them together. I liked that song he did with Jamey Johnson & Snoop Dog(Lion) as a novelty song it was pretty good.I think it was called “Roll Me Up and Smoke Me When Die”.I like Stephen Tyler as a rock singer ,but I think he would over power Willie’s vocal just like in “One Time Too Many”. Willie Nelson and Aerosmith on “The Essential Willie Nelson”, “One Time Too Many,” written by Tyler and recorded in Vancouver in 1987. It’s an odd track, more like two songs really – the first bit is Willie singing a slow version of the song with someone (probably the Aerosmith bloke) singing along, and the second is a fast version, but I can’t pick out Willie’s voice (truth be told I usually move onto the next track when the rock version starts!!). Sadly, I live 5 minutes from the Grand Ole Opry and would have to travel to Texas to hear good live country music. I made a comment on FB that at least the Bluegrass state gave the world Keith Whitley and now Sturgill and Stapleton so maybe the Ryman should consider moving 45 minutes north to Kentucky. Obviously joking but my fellow Tennesseans didn’t find it funny. Something needs to change here in Nashville or Tootsies will have to hire a DJ, hang a disco ball and book Skrillex. I feel like mainstream country is in the equivalent of rock going through the hair metal phase. Oh well, if Willie’s on before Tyler at least it will mean that country fans can get out of the car park a bit quicker! The fact that Steven Tyler is even supposedly ‘playing country music’ now pisses me off nevermind the fact that he is replacing a bonafied legend. It is a huge slap in the face of country music to imply that if you’re a washed up rockstar you can make the switch to country because country fans buy anything with a fiddle and steel guitar…. A lady walks into a tattoo shop and tells the guy she wants a likeness of Elvis on both inner thighs. The tattoo artist is use to unusual requests and agrees. So he’s down there working and working on two likenesses of the King, one on each thigh, finishes up, hands her a mirror and asks “what do you think?”.